Well, friends - it's official. We picked up "Rocksteady" - our Grand Design Reflection 323 BHS 5th wheel on Saturday. By the end of the month we'll have closed on the house and officially be full time nomads! Obviously we have lots to share on the process so far, but wanted to share another big change that is coinciding with the transition. We've used the name Last Night Ago for lots of different side projects. Ashley's custom wood signs, baked goods, our T-Shirt shop and tons of other little things here and there. We loved it because Jett used to say stuff like, "Mom, did we eat pizza last night ago?" - meaning, "did we eat pizza yesterday?" It was so darn cute we just couldn't help naming a business after it. But with everything else in our lives changing we decided it was time to start fresh. Last Night Ago was just too generic and didn't really symbolize what we're hoping this site/brand/blog will become. 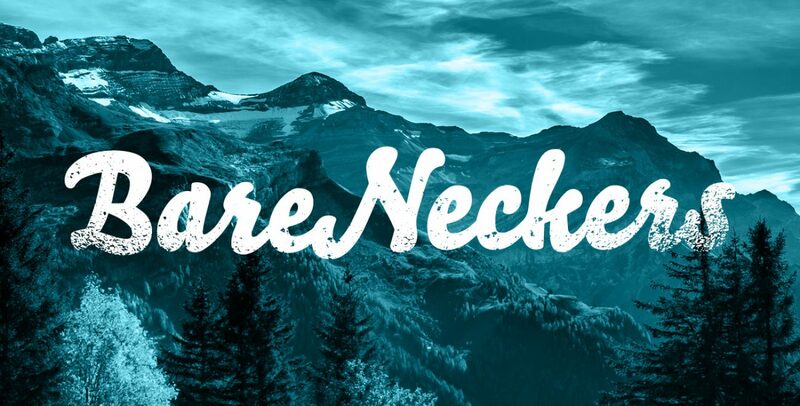 And so as we launch into this whole "becoming nomads" thing we're officially re-launching Last Night Ago as BareNeckers! I know what you're thinking, and no we haven't turned into nudists. It will still be safe to look at our pictures, I promise. But we are going to make a huge effort to be more transparent, more honest and more real - to say what we really think. Our new goal with this blog is to encourage you to take a chance and do something different. It can be big like traveling full time - or small like starting a morning routine. Whatever it is, you can be sure we'll tell you exactly what we think about it, and how it's impacted our lives so you can make your own choice. So there you go! New logo, new name and new adventures. Here we go! Image credit: Samuel Zeller via Unsplash.